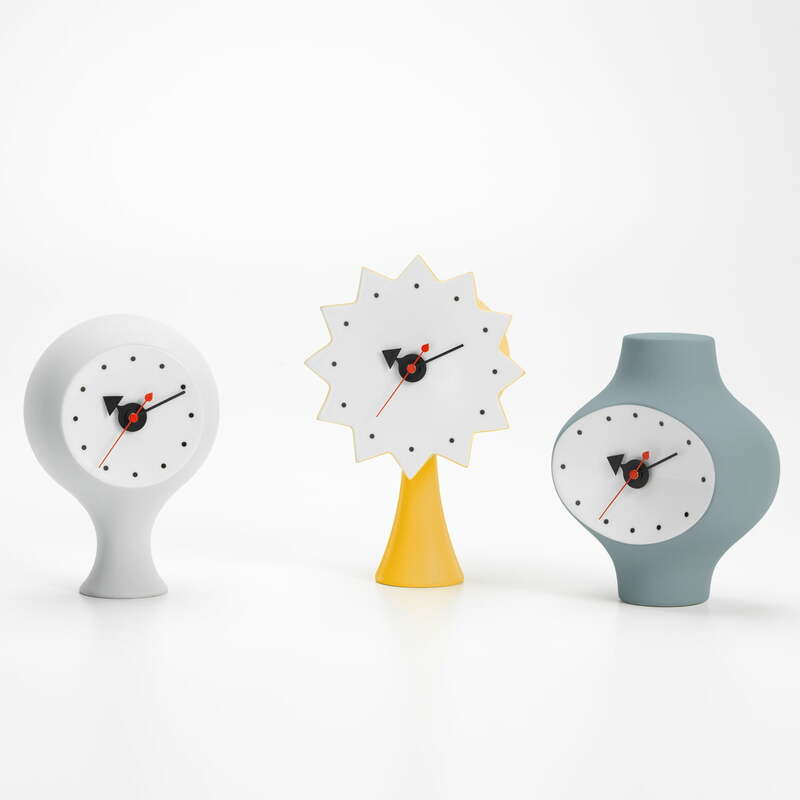 Vitra's Ceramic Clocks are part of a series of everyday items designed by George Nelson in the 1950s, 60s, and 70s that includes lights, clocks and accessories. They are still considered to be absolute icons of modern American design today. The ceramic clocks bring together geometric shapes and organic elements and are reminiscent of sculptures by artists such as Constantin Brancusi or Isamu Noguchi. The clock series was designed in the 1950s, and was developed to the production stage, but for unexplained reasons never went into production. 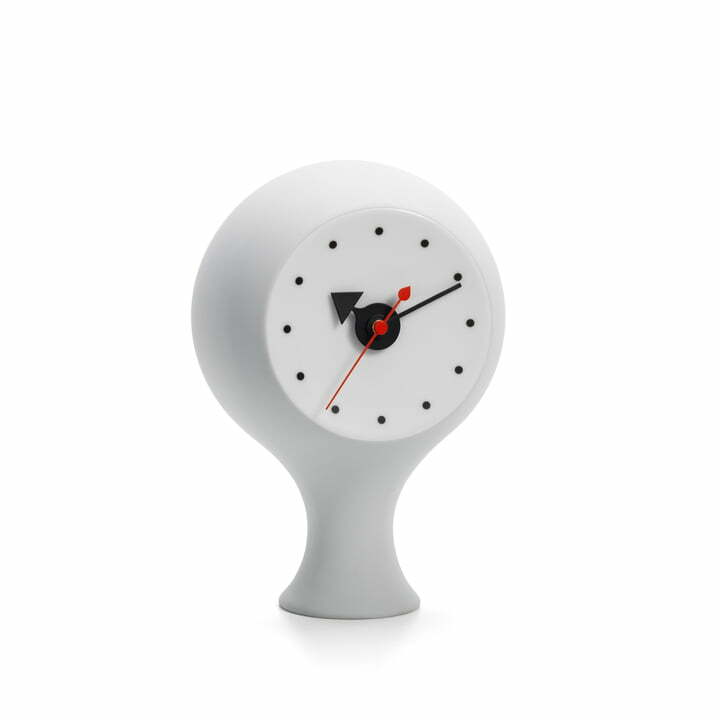 Using the original plans and prototypes by George Nelson, Vitra redesigned the ceramic clocks out of glazed porcelain of various colours and equipped them with a modern quartz clock movement. Using the original plans and prototypes by George Nelson, Vitra redesigned the ceramic clocks out of glazed porcelain of various colours and equipped them with a modern quartz watch movement. The clock series was designed in the 1950s, and was developed to the production stage, but at that time for unexplained reasons never went into production. 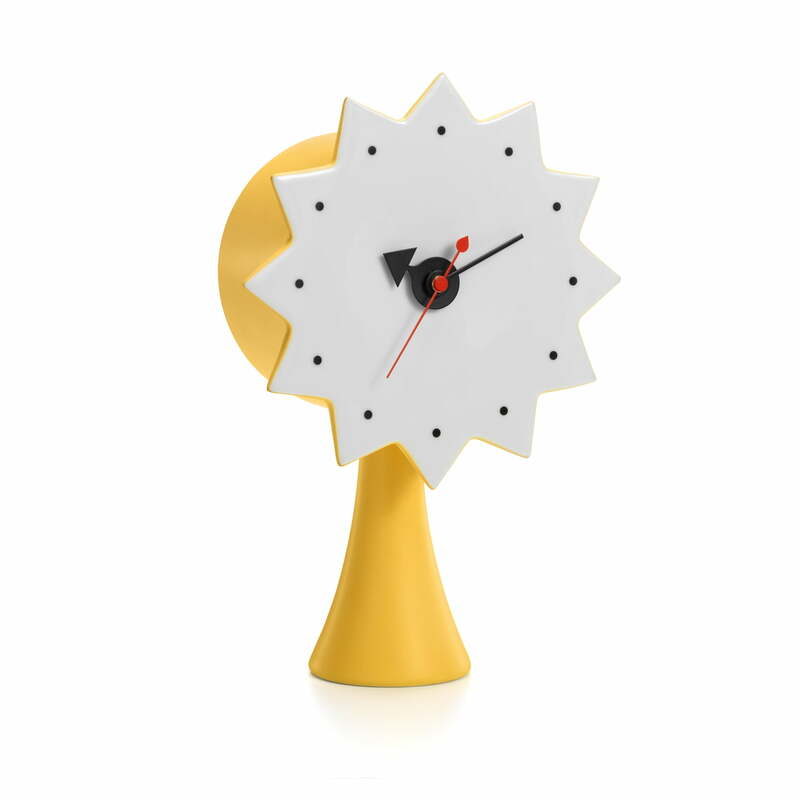 Vitra's Ceramic Clocks are part of a series of everyday items, such as light, clocks, and accessories designed by George Nelson in the 1950s, 60s, and 70s. Still today, they are considered to be absolute icons of modern American design.